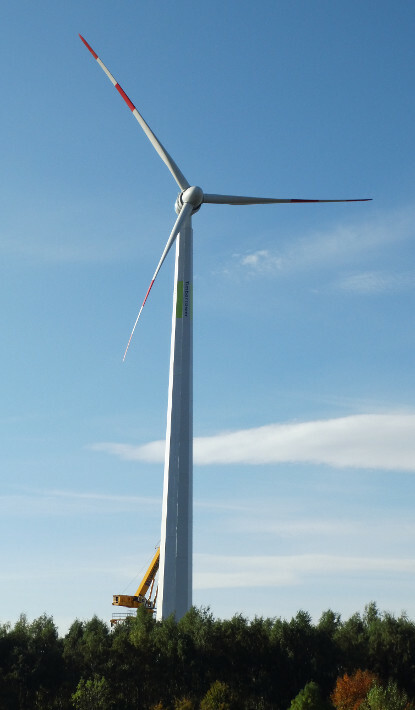 The TimberTower GmbH builds world’s first company from Hannover wood towers for wind turbines in the multi-megawatt class. These wooden towers are an economic and ecological alternative to conventional tower concepts for wind turbines, which are made of concrete and steel and their development consumes much energy and produce CO2. 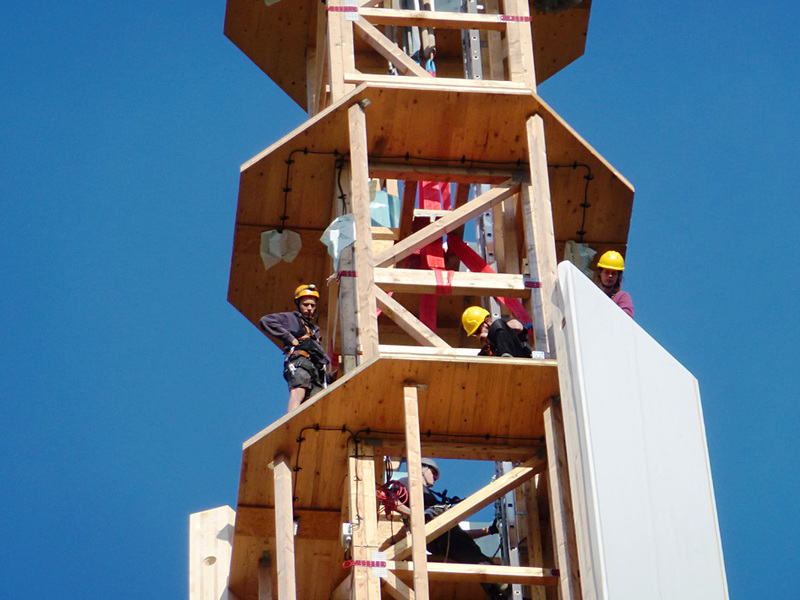 A Timber Tower is up to 20 percent cheaper, more energy efficient and thus climate-friendly. In addition, it is easier to carry and is made from a renewable resource. 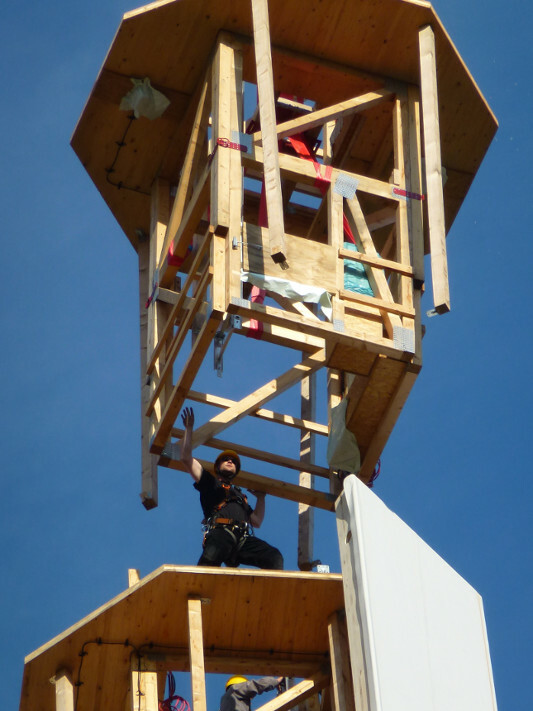 A TimberTower prototype with a height of 100 meters was built after a long preparation of the A2 motorway near Hanover. 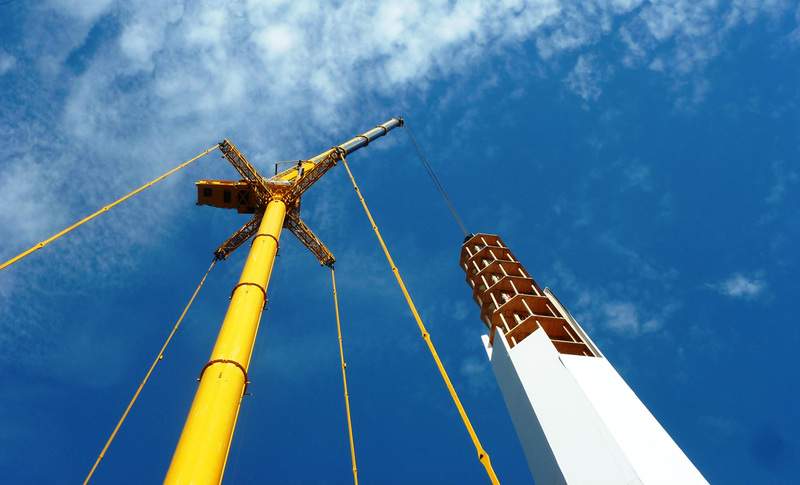 Our company was responsible for the installation of the tower. The structure consists of laminated timber panels and surface components that are assembled on site. 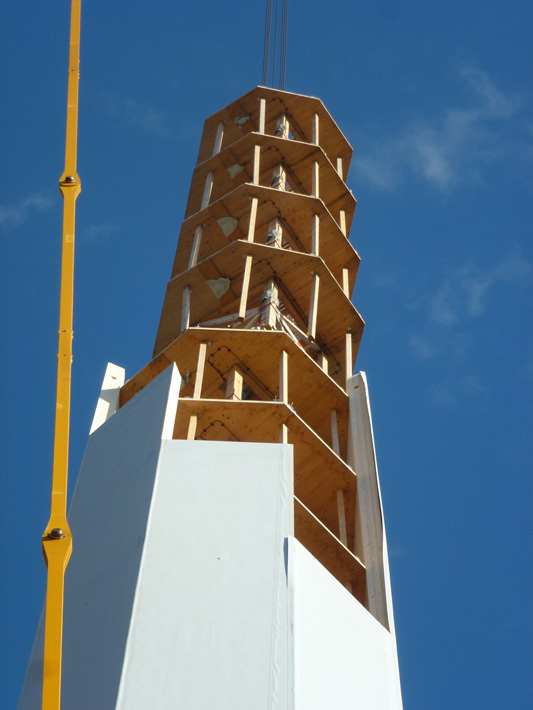 The sealing of the timber tower made ​​with plastic sheets, as they are also used for flat roofs. TimberTower wants to continue high. 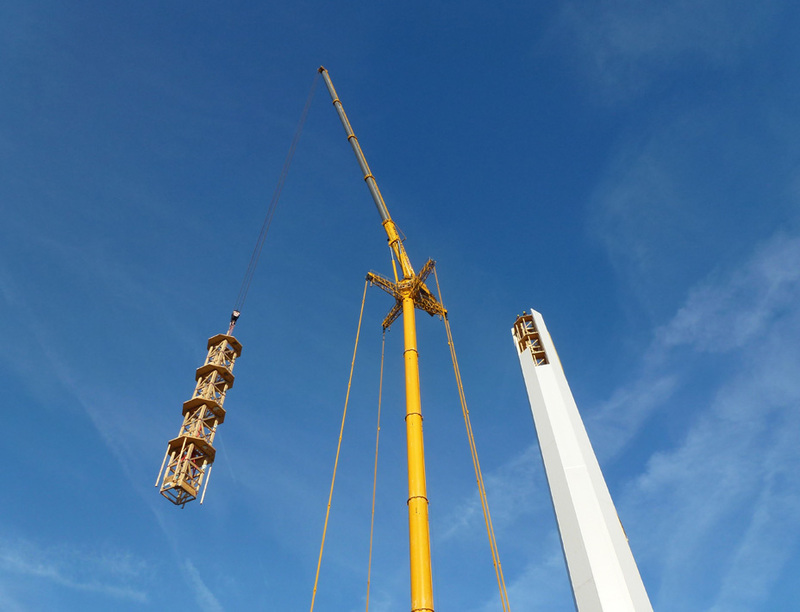 Wooden towers with 140 and 160 meters are in preparation. Series production is planned.